Martha Fling serves as the Chair of the Board of Directors of the Ackerman Institute for the Family. She is the founder of Drake Libby LLC, a multi-family advisory firm offering bespoke financial advisory services to private families, individuals, endowments and foundations. Her career of over twenty years began as a wealth manager at Morgan Stanley. Martha is a life-long entrepreneur, and brought her financial expertise to her first venture, SeaBridge Residential Treatment Center in Malibu, a residential treatment center for emotionally disturbed and substance abusing adolescents. A co-founder, she also was the Executive Director, oversaw all financial and operating matters, and initiated JCAHO accreditation for the program. SeaBridge allowed adolescents to live in a true residential setting, attend local schools, and go about daily adolescent living while receiving intensive multidisciplinary therapies. SeaBridge prioritized family involvement, and worked with the families of the adolescents to build a positive environment at home. As a mother of three, philanthropy and family have always been close to her heart. She is a lifelong resident of Malibu, and has used her skills to assist numerous clubs, organizations and schools in fundraising and other matters. 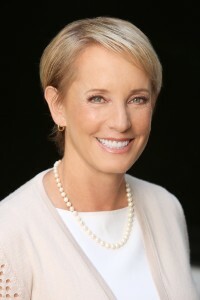 Although her roots are in California, Martha has been actively involved in the Greek Orthodox Church, securing a donation for over a million dollars to Faith: Endowment for Orthodoxy and Hellenism, and is an active member of Leadership 100; both organizations sustain the ministries of the Greek Orthodox Church and its Patriarch and are based in New York City. She has also sponsored three separate programs at the Metropolitan Museum of Art, and is a member of its committee Women and the Critical Eye. Martha loves to travel the world and as her children have grown and relocated to the East Coast, she maintains an extensive network of business and personal contacts on the East Coast and in Europe.